When your car is in need of radiator repair, you can trust the expert mechanics at Radiatorland to provide you with the best quality auto parts and auto repair services. As a part of our commitment to the environment, we are proud to offer our customers a range of green radiator services. During a radiator fluid flush, a great deal of water is taken out of the car. Rather than sending this water down the drain, we use state of the art techniques to recycle and reuse radiator fluid. By recycling water, we are helping to improve the environmental impact of our radiator repairs. When you schedule auto repair at our mobile mechanic near Santa Clara, you can also rest assured that we will use green auto parts during your services. 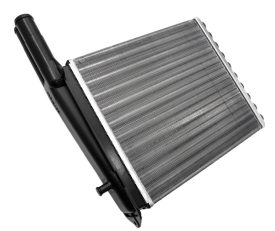 At the first sign of radiator issues in your vehicle, be sure to contact us to set up an eco-friendly service appointment for your cooling system.